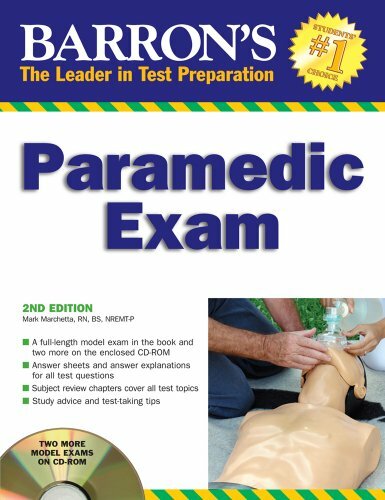 The newly updated edition of Barron's Paramedic test prep manual prepares applicants to qualify for a paramedic license. Presented here are three full-length model exams--one in the book and two more on the CD-ROM. Each consists of multiple-choice questions with answer sheets and answer keys for self-testing. Subject review chapters cover the following paramedical topics: airway and breathing, cardiology, medical, obstetrics/gynecology/pediatrics, and operations. The author also offers helpful test-taking advice. If you have any questions about this product by Barron s Educational Series, contact us by completing and submitting the form below. If you are looking for a specif part number, please include it with your message.